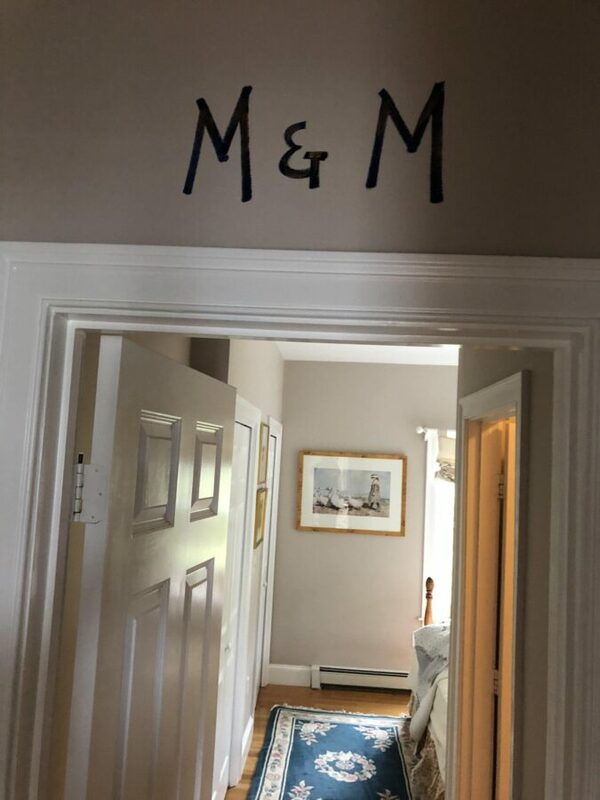 Marguerite and Mary are both sisters named in the catchy name M and M room. Black and white pictures taken in the 1940’s of both sisters in bathing suits tie into the beach theme of the room. 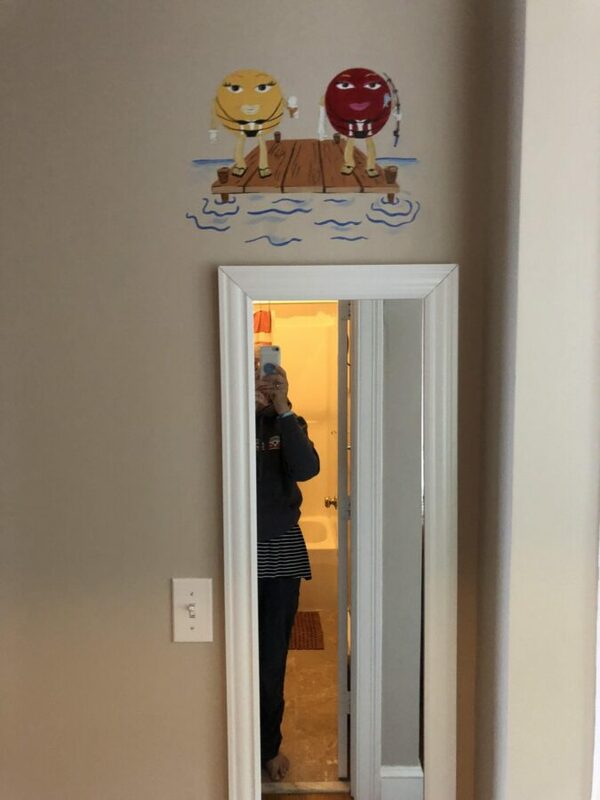 Wall art of M&M candies dressed in bathing suits speak to the funky part in the “funky old” decor!! The embroidered pillows and wall hangings were stitched by the owner, Annmarie. The queen bed frame is a restored maple pineapple bed. 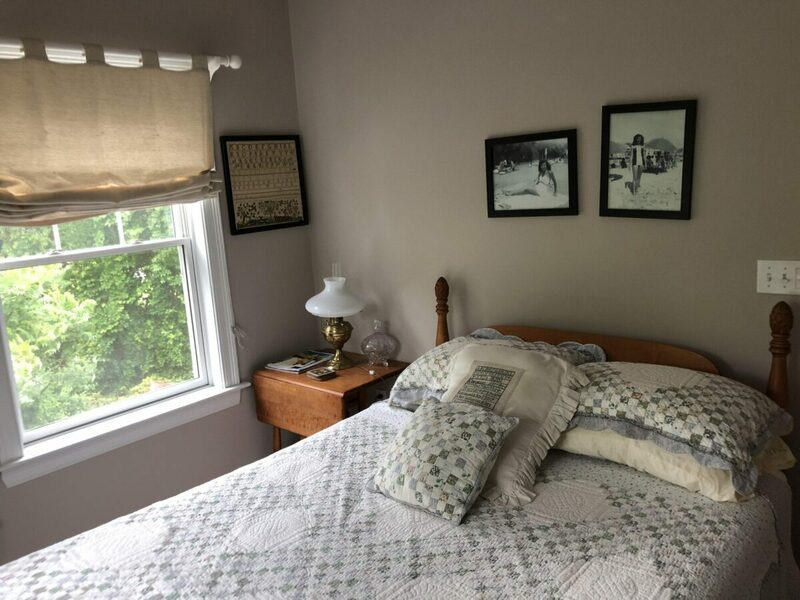 Bedspread is a pastel patchwork quilt. Curtain shades are hand made of vintage material purchased in St Augustine, Florida. 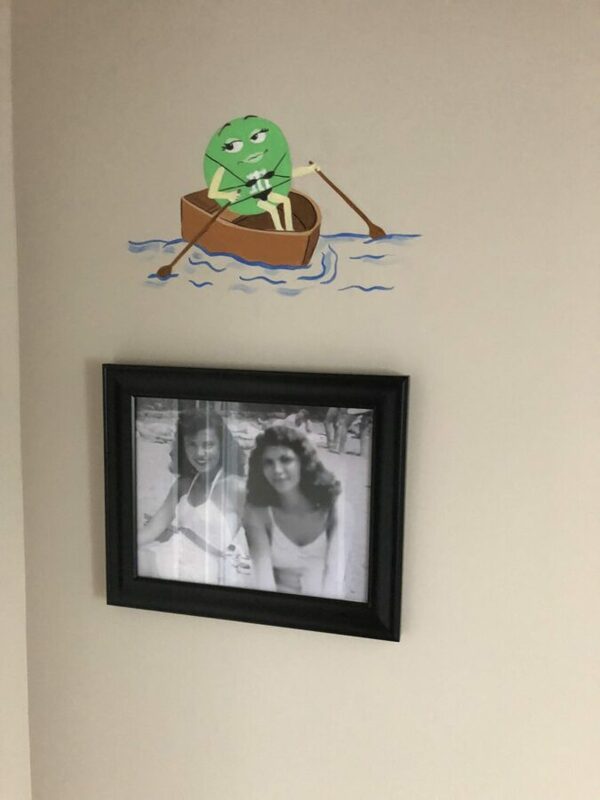 The M&M room is our smallest and least expensive room. We normally recommend that a long stay is not recommended. 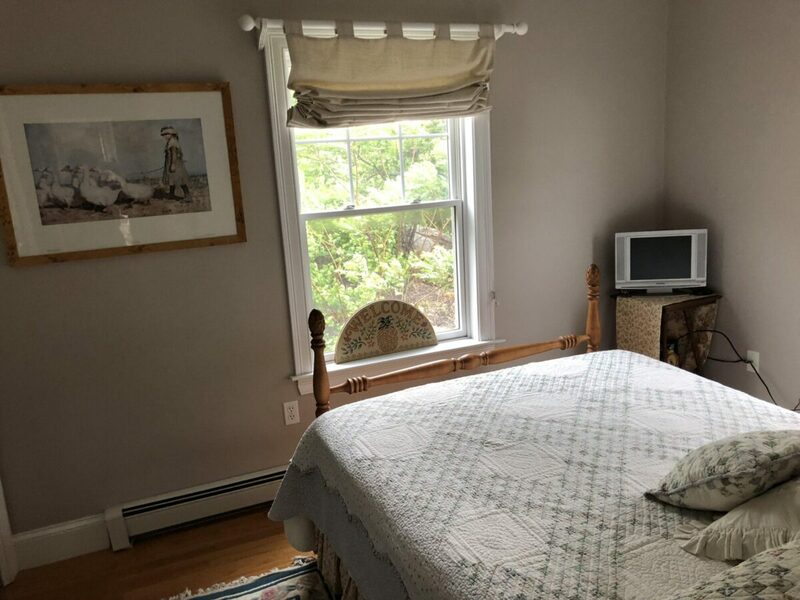 It’s a perfect room for a short stay. The view is a garden view but there is a view of the bay from one window. Bath is en suite and has a tub and shower.